Peter Seibel is either a writer turned programmer or programmer turned writer. After picking up an undergraduate degree in English and working briefly as a journalist, he was seduced by the web. In the early '90s he hacked Perl for Mother Jones magazine and Organic Online. He participated in the Java revolution as an early employee at WebLogic and later taught Java programming at UC Berkeley Extension. Peter is also one of the few second-generation Lisp programmers on the planet and was a childhood shareholder in Symbolics, Inc. In 2003 he quit his job as the architect of a Java-based transactional messaging system to hack Lisp for a year. 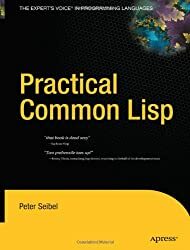 Instead he ended up spending two years writing a book, the Jolt Productivity Award winning Practical Common Lisp. His most recent book is Coders at Work, a collection of Q&A interviews with fifteen notable programmers and computer scientists. When not writing books and programming computers Peter enjoys practicing tai chi. He live in Berkeley, California, with his wife Lily, daughters Amelia and Tabitha, and their dog Mahlanie.